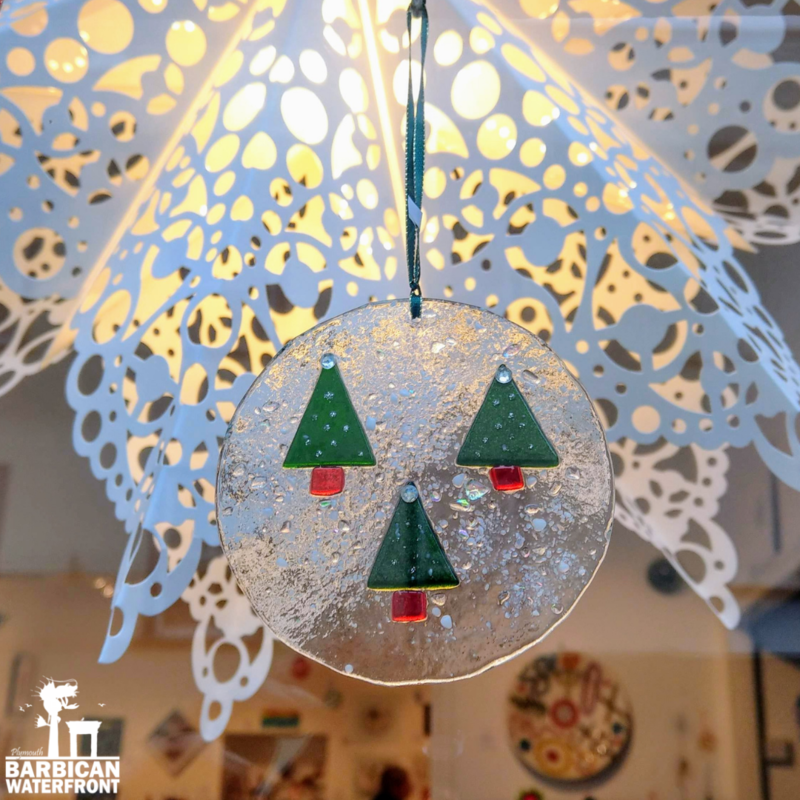 Christmas is in the air and the Barbican is filled with Festive cheer this December. Local trades pulled out all the stops to dress their busy shop windows with beautiful lights and decorations, the smell of mulled wine and gingerbread is in the air making your hunt for those perfect Christmas gifts a rather pleasant one. There are lots of small independent cafes, restaurants, shops and galleries well worth visiting to make your Christmas and theirs a very special one. In this feature, we would love to tell you more about some of the wonderful places you could try out not only this December, but throughout the year. 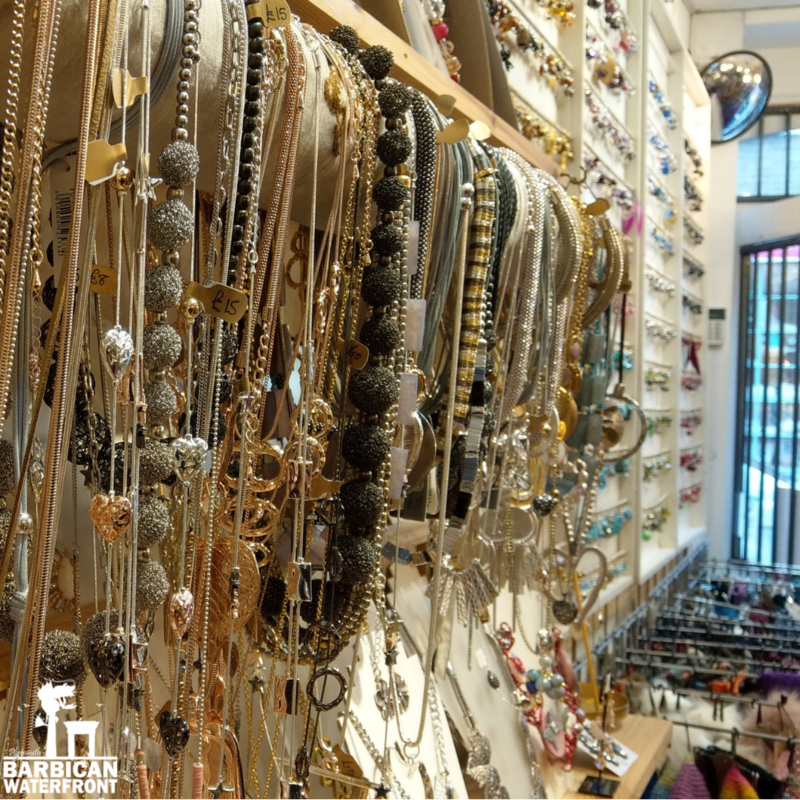 Peardrops specialises in selling beautiful selection of everyday or special occasion jewellery and accessories including scarves, hats and handbags. 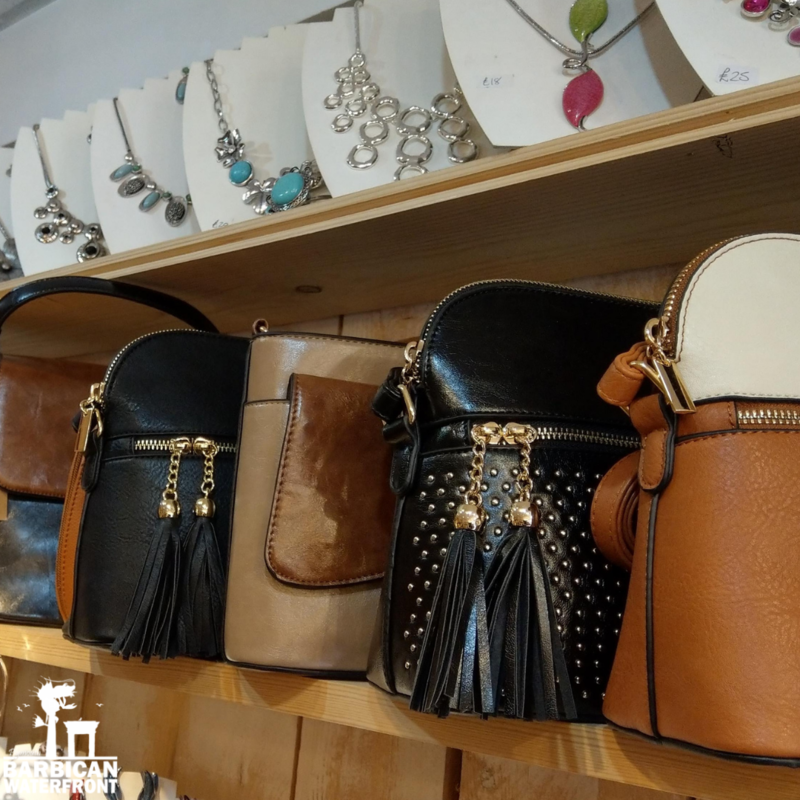 Over the years, the shop has grown into a real fashion haven with the addition of several clothing lines including trendy and well-made dresses, coats and cardigans. Once in, you’ll soon want to tuck into exploring the vibrant clothing rails which offer an incredible variety for a shop this size. 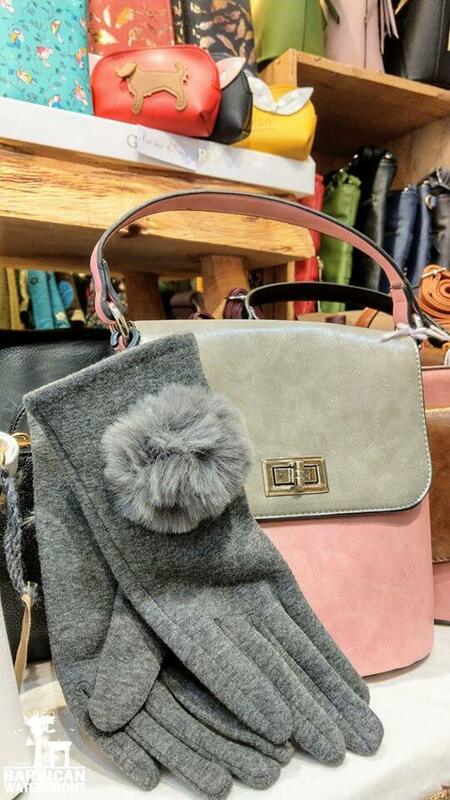 You will find lots of colourful accessories, beautiful handbags, scarves, gloves and shawls to complete your look and update your winter wardrobe. Especially for Christmas, the owner – Anne, has also added a great range of accessories sets which she personally matched to compliment the style. This offers a perfect solution for those of you who struggle to pick a gift or choose items that will go well together. 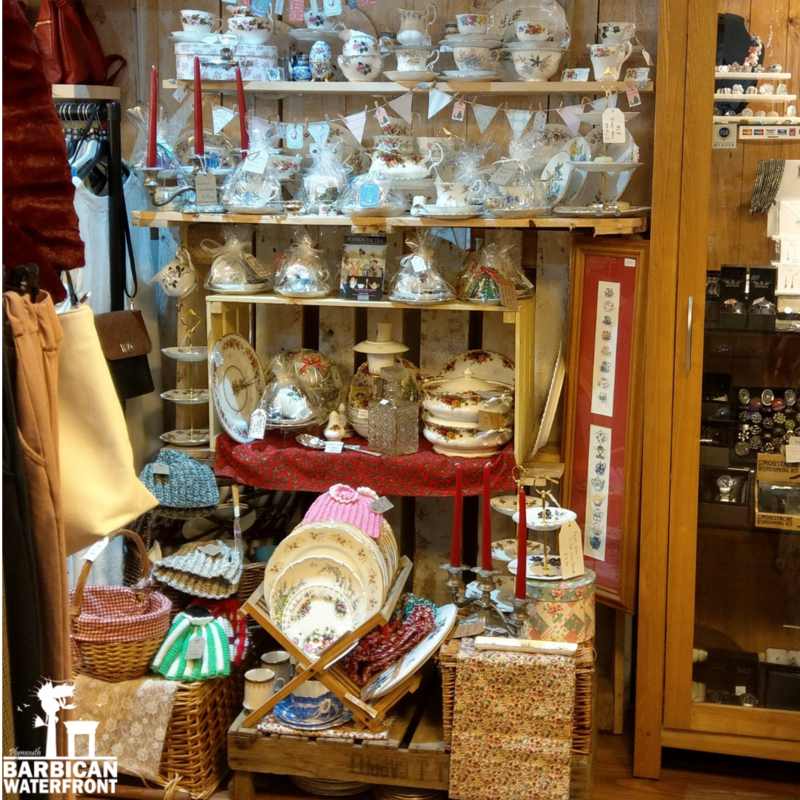 The shop also has a beautiful display of porcelain and homeware as well as a fabulous cabinet filled with fashionable accessories for men. 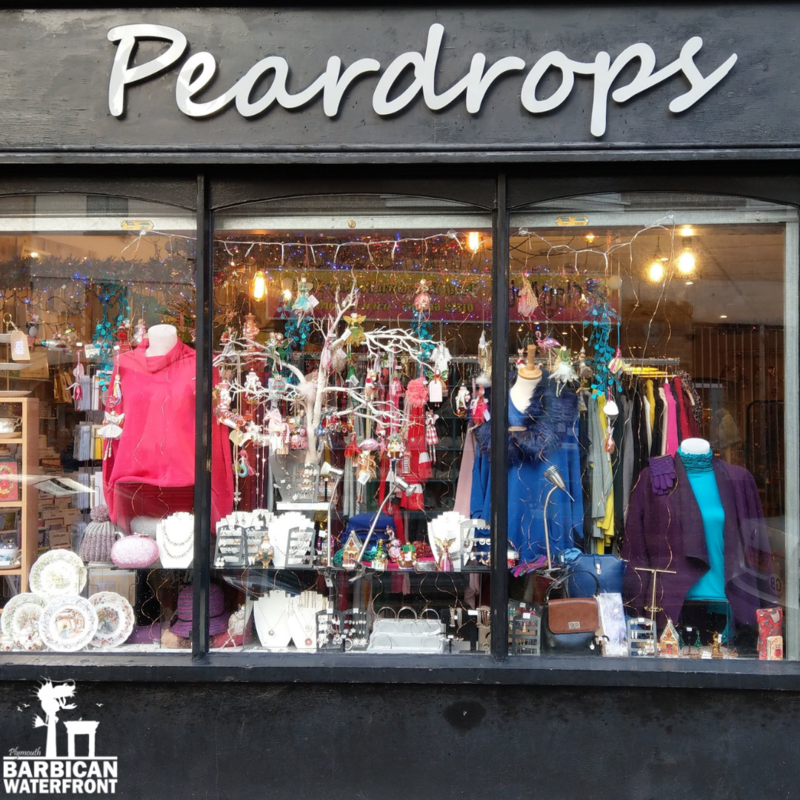 All in all, Peardrops is a true Aladdin’s cave and a one stop shop when you’re in need of a little retail therapy. We would certainly recommend stopping by whether you’re looking for something in particular or just fancy a little browse. This year, Anne’s shop was also featured in the Visa UK’s Christmas campaign, aimed at supporting the wonderful and quirky small businesses just like Peardrops. 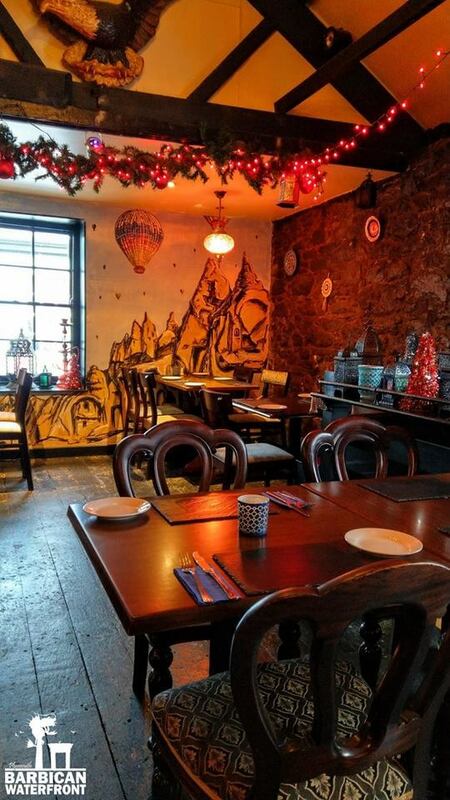 Authentic taste of Turkey without leaving Plymouth. 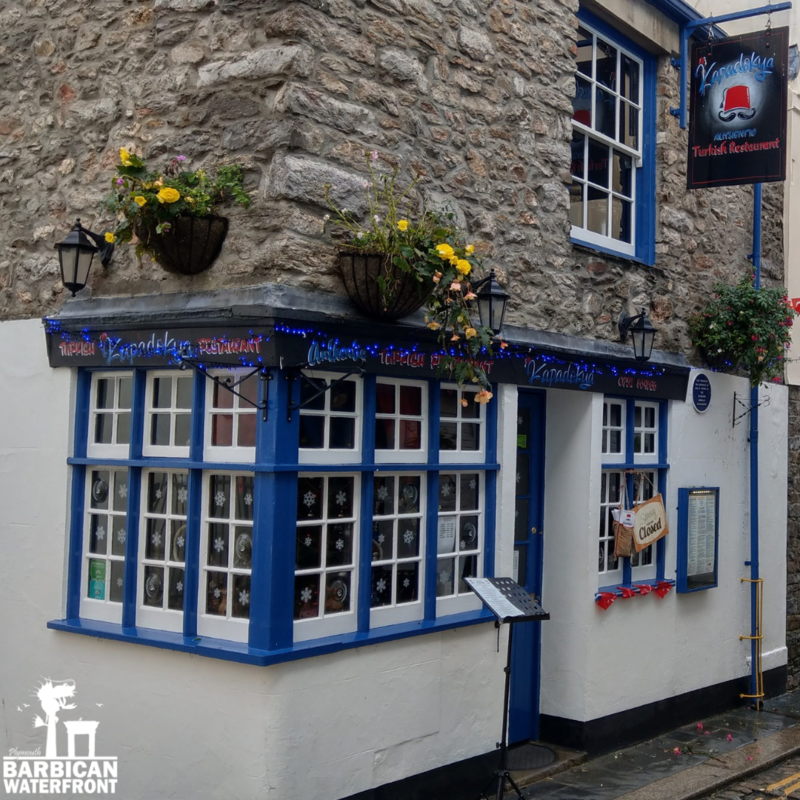 Situated in a prominent spot on one of the oldest street in Plymouth, New Street, Kapadokya offers traditional Turkish cuisine at its best. Housed within a beautiful Tudor property, the restaurant itself is full of character and charm. Step inside and feast your eyes on the beautiful, traditional Turkish decor which marries well with the building’s exposed beams and stonework. 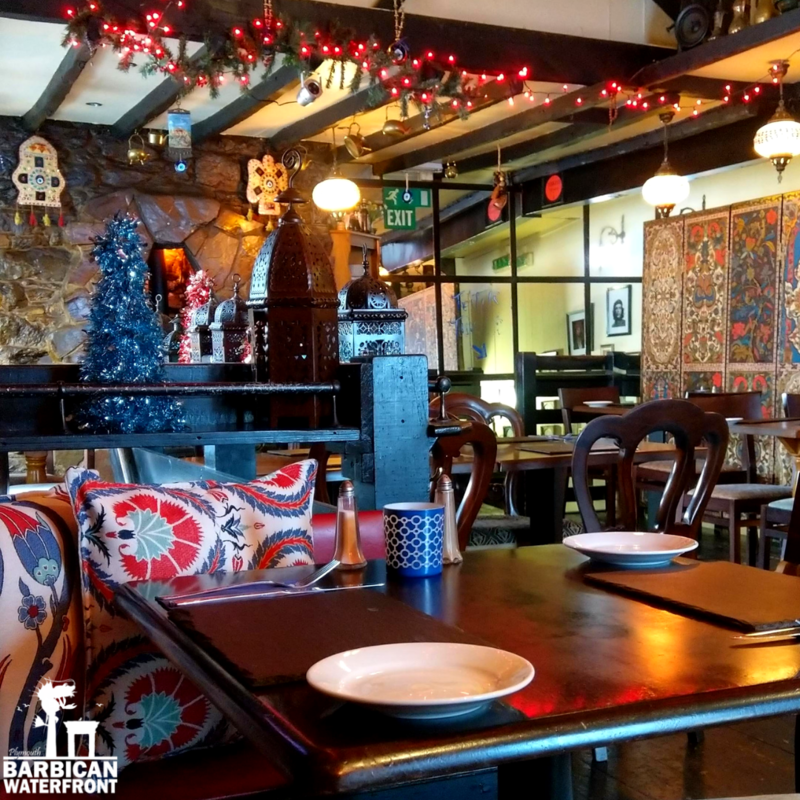 Successfully ran under the same management for many years, Kapadokya prides itself in serving authentic Turkish meals lovingly prepared by the passionate chef Ismail. 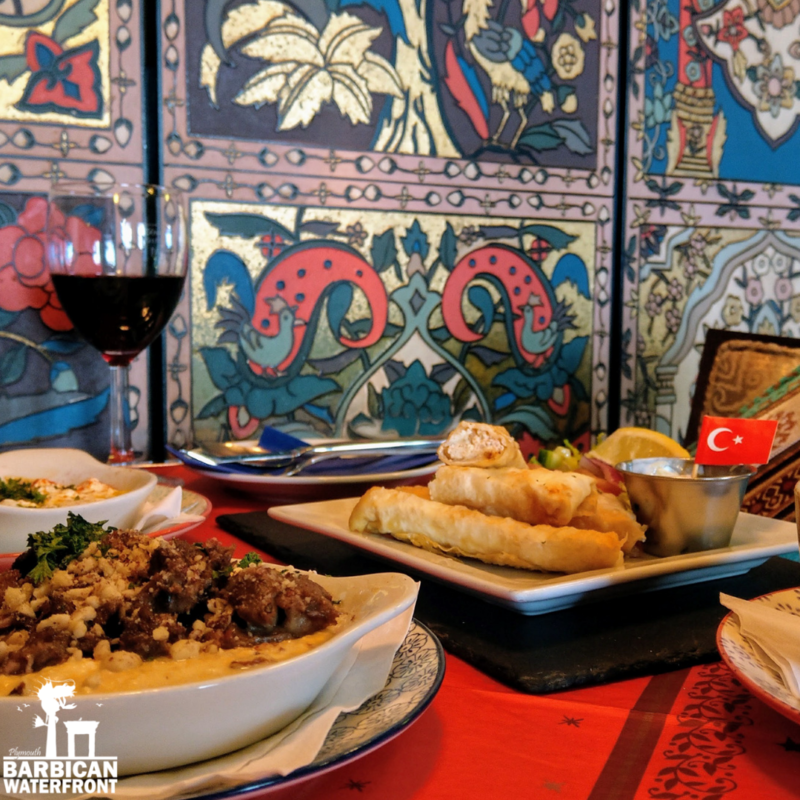 With a wealth of traditional recipes, Kapadokya’s menu combines a variety of meats, fish and vegetarian dishes that promise to satisfy and surprise. All of the dishes are completely homemade using, where possible, only the finest locally sourced ingredients. 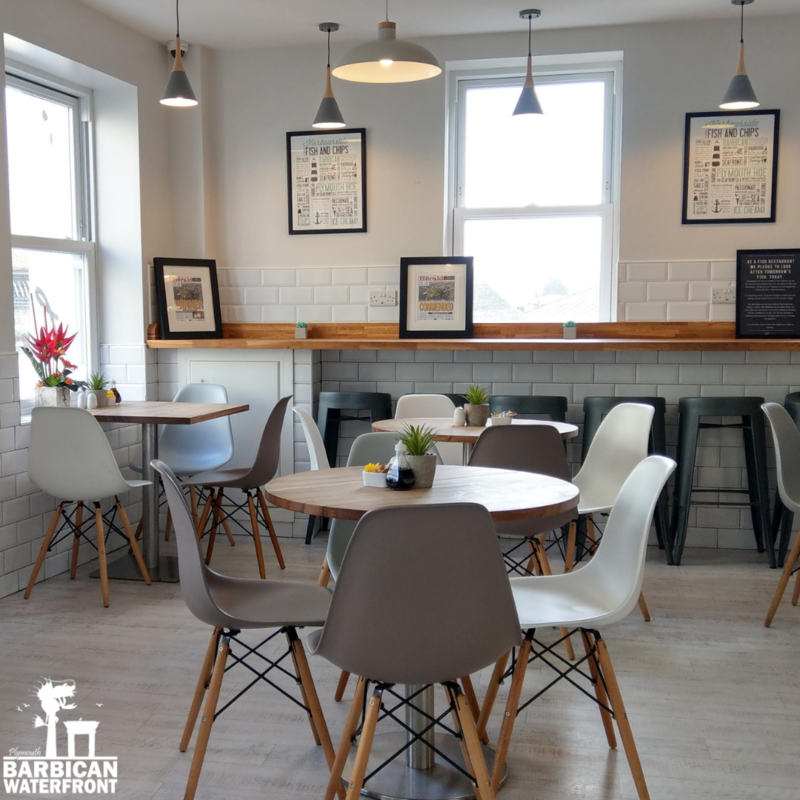 Their aim is to provide their diners with a true taste of the best Mediterranean food right here in Plymouth. You are in for a real treat this festive season as their special Christmas Menu is set to send your taste buds travelling through the historic regions of Kapadokya. 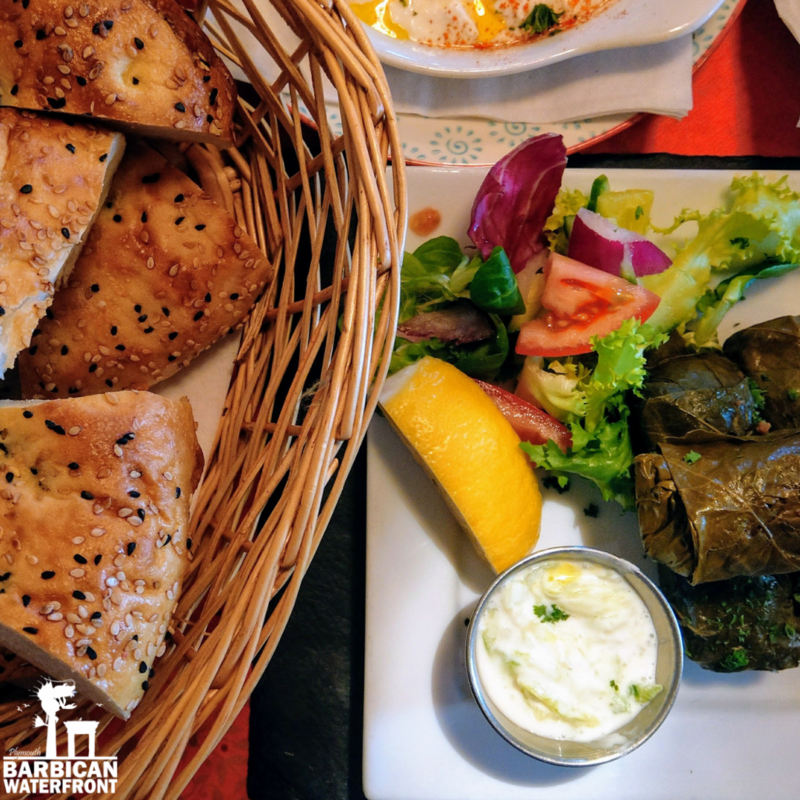 From flavoursome dips, fragrant salmon and succulent lamb to the iconic Turkish dessert – BAKLAVA, there’s plenty of choice. As well as for Christmas parties and festive get together’s, Kapadokya is also now taking bookings for their famous New Year’s eve dinners, when you’ll enjoy a special performance from belly dancer Ameera. Christmas is time for sharing, time for giving and spending precious moments with your family and loved ones. It’s time for eating all your favourite foods without having to worry about your waistline. 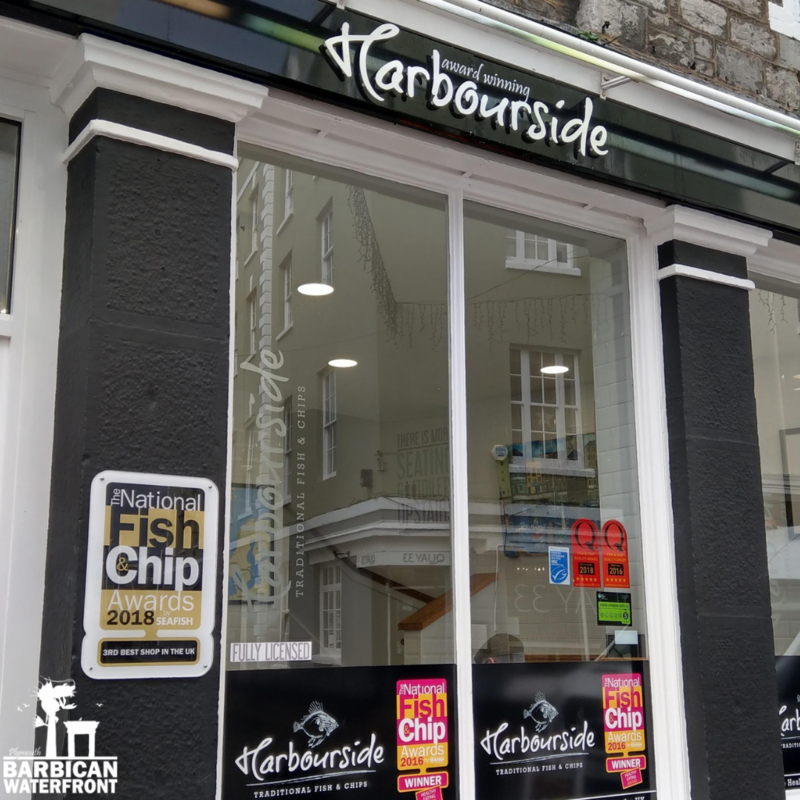 Without a doubt, fish and chips is one of the most celebrated and popular English dishes, enjoyed by many and if you like it just as much as we do, you must try out the award winning Harbourside Fish and Chips. 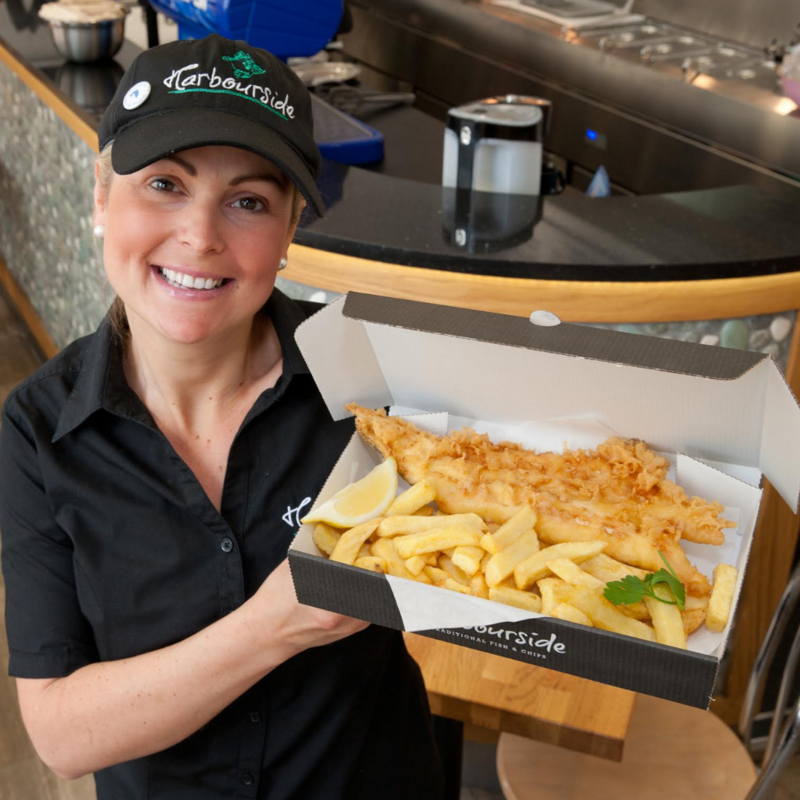 They pride themselves in serving fresh, sustainable fish, cooked to perfection and offer a great choice for all ages, available to eat in or to take away. 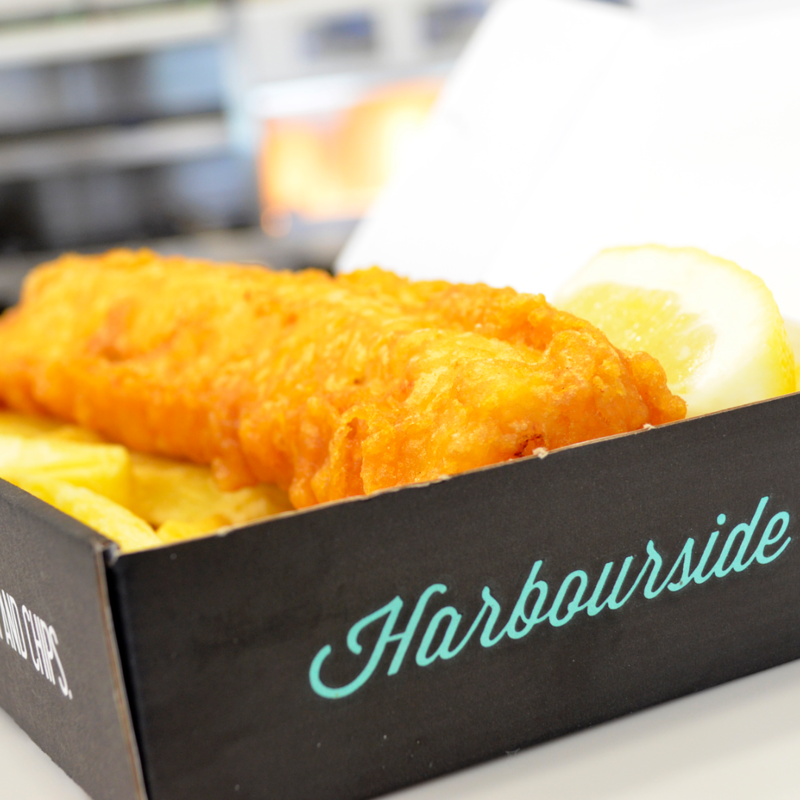 From children’s meals to all of the nation’s favourites including succulent cod or line caught haddock which can be enjoyed grilled or lightly battered, homemade fish cakes, sea food platters, sausages, burgers, pies and of course mouthwatering chips and homemade mushy peas. This Festive season they will be also offering battered Pigs in Blankets and battered stuffing balls which proved to be very popular last December. In the late spring of 2018, they also opened a dedicated Gluten Free premises on the Barbican, offering all the traditional favourites without a trace of gluten in sight. As part of their plan to support healthy eating, the restaurant has switched to using groundnut oil, a thinner oil that drains from the fish easier. 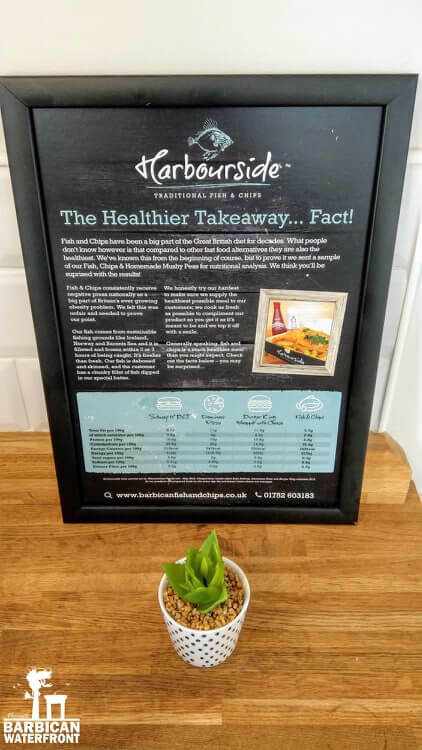 Harbourside also offers a good choice of healthier options by introducing jacket potatoes, side salad and chargrilled fish or chicken as opposed to fried. Both restaurants are also on Deliveroo if you fancy tucking in in the comfort of your home. 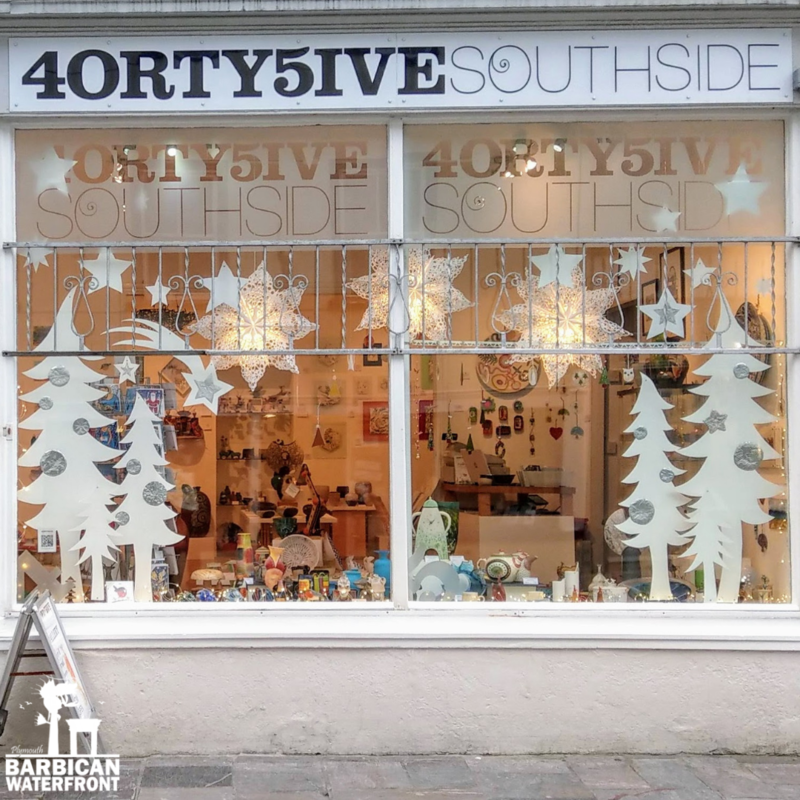 Situated in the heart of the hustling and bustling Southside Street, this friendly craft gallery has been on the Barbican for nearly a decade. 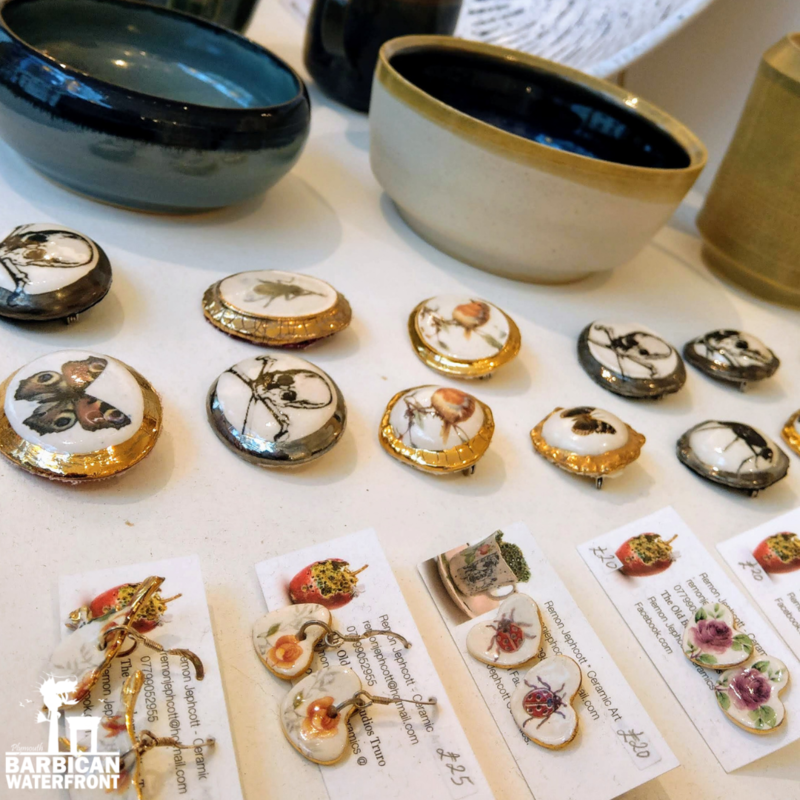 Majority of the pieces had been made by Plymouth-based artists, others – by those working very nearby, perfectly showcasing the essence of contemporary crafts and arts that this part of the country has to offer. As well as large statement ceramics, metal and glass pieces there are also plenty of smaller and very affordable works that could add a touch of uniqueness to your home. 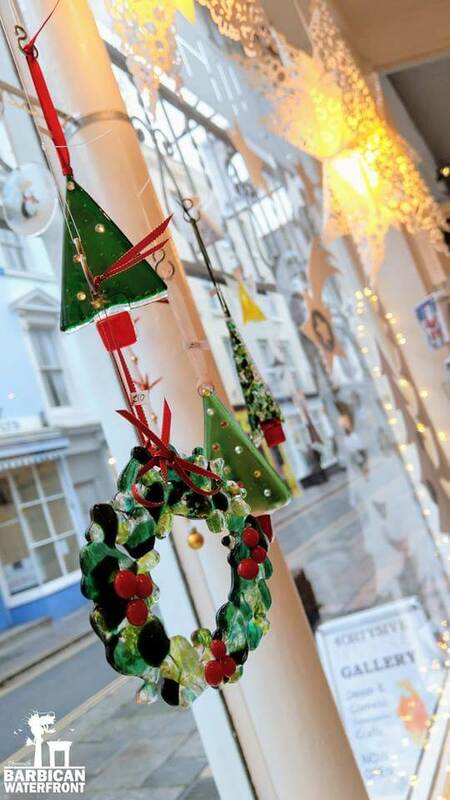 We loved the gorgeous selection of glass Christmas decorations and baubles, if you’re on the hunt for something new to add to your collection – we’d definitely recommend stopping by. Have you ever thought of gifting art to your loved one at Christmas? 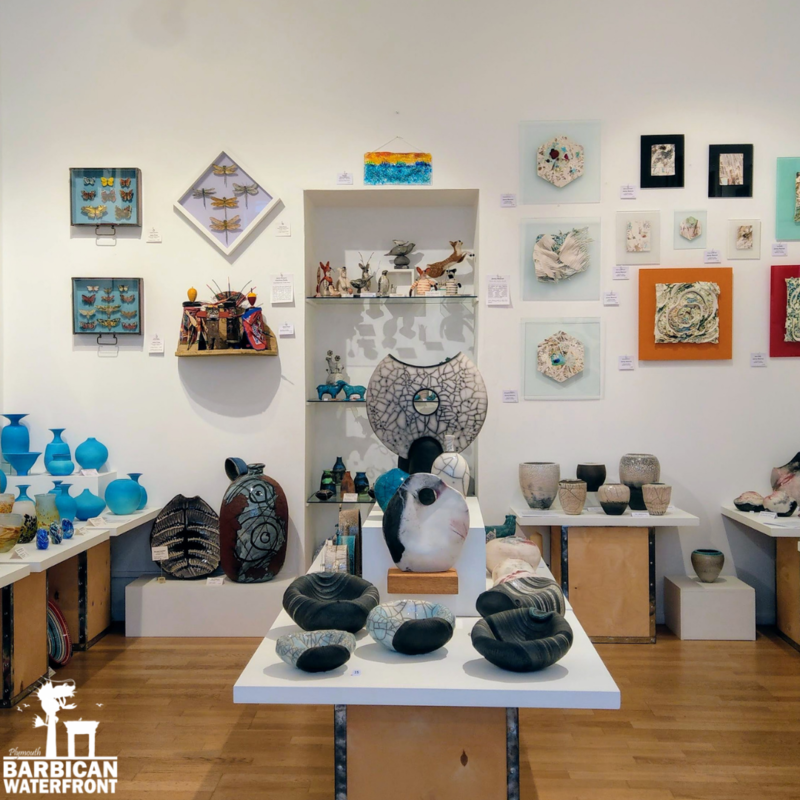 By that, we don’t necessarily mean getting the largest painting or sculpture, there are many smaller, one of a kind and every day use pieces lovingly made by local artists. From handmade jewellery and purses, to tea towels, wall hangings, trinket dishes and so much more – you really will be spoilt for choice. The friendly owner – Mathias, will be happy to advise you, should you need his help, and tell you more about each of the wonderful pieces on display. If you’re not local to Plymouth, you’ll be pleased to know that they also sell online and securely ship across the UK. Please, do take a look at their website and give them a follow on social media to stay up to date with what’s new in the gallery.